Well, we now know what that "Resident Evil 5: Director's Cut" stuff was all about. It's a re-release of RE5, built to take advantage of Sony's upcoming motion controller. Voice Actress Tips Off &apos;Resident Evil 5: Director&apos;s Cut&apos;? The game will be out in Spring 2010, and it's far from the only existing PS3 title to take advantage of the new peripheral. 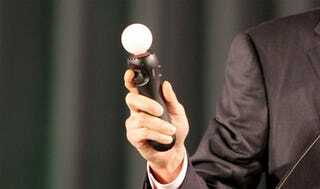 During SCEJ's TGS press conference, Sony's Shuhei Yoshida revealed that the controller will also work with existing games like LittleBigPlanet, EyePet, Flower, Pain, High Velocity Bowling "and more". Whether, like Res 5, you'd need to buy new versions of the game to use the motion controller or just install an update wasn't elaborated. We'll update if we hear more.